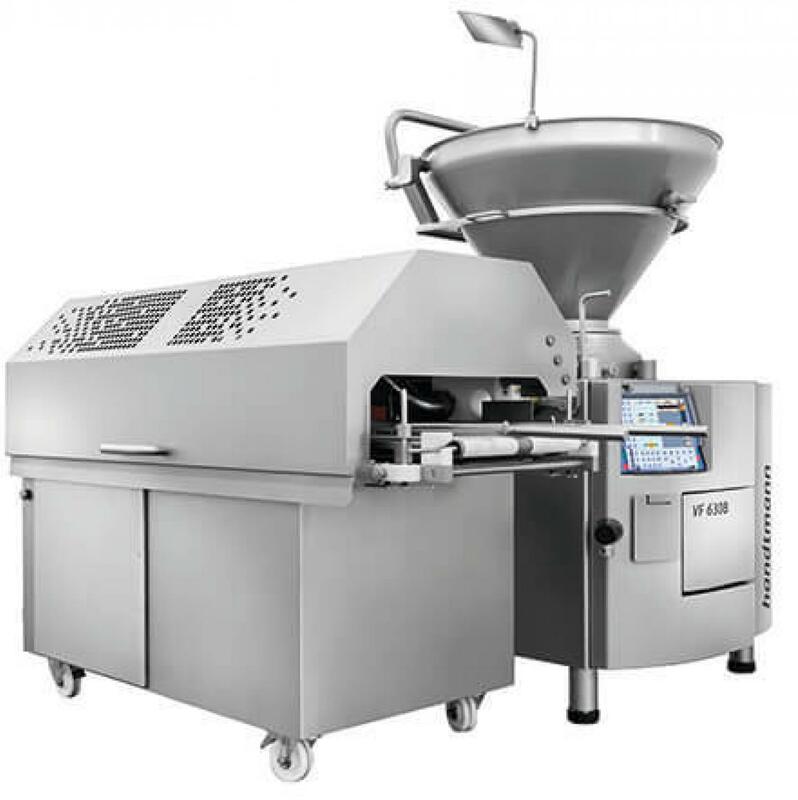 Handtmann Bakery solutions are powered by Handtmann VF 600 B portioners with vane cell technology that deliver on the very highest bakery quality goals. 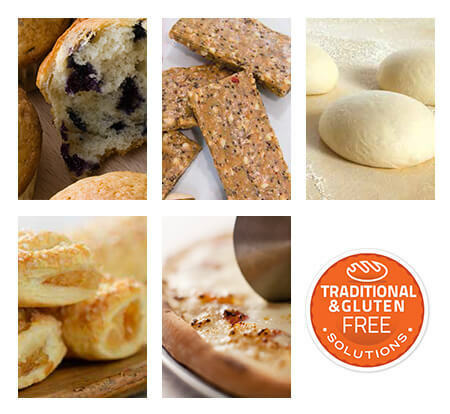 Dough more gently travels through shorter travel paths, reducing product stress with minimal temperature rise while maintaining inclusion integrity that your customers will see. 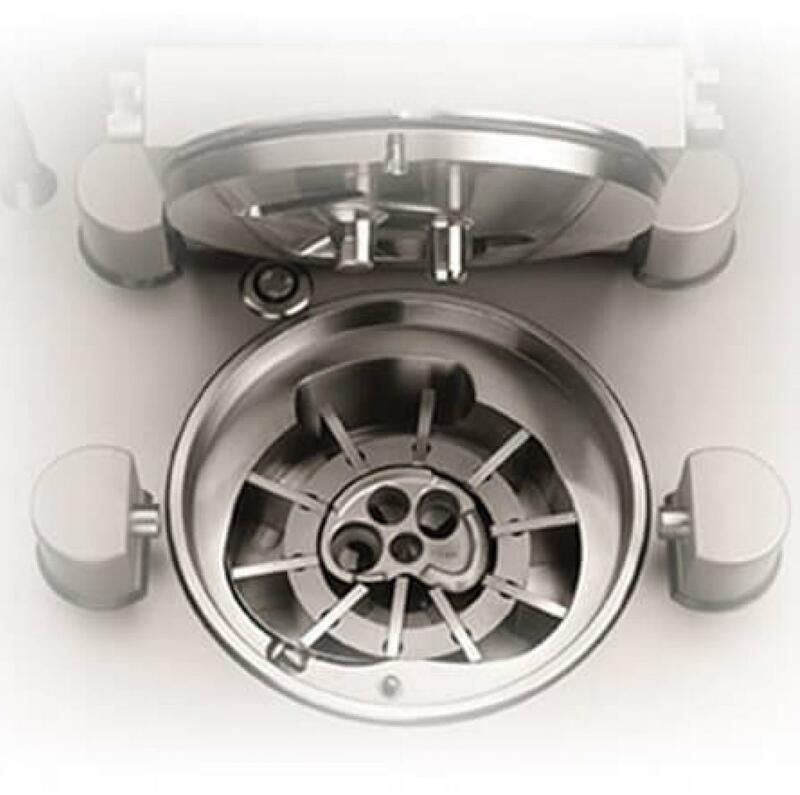 The Handtmann VF 600 B series assures the industry’s most accurate and consistent dividing and depositing for dough of various densities, batters and viscous products that flow naturally into proprietary Handtmann vane cells for precise measurement. 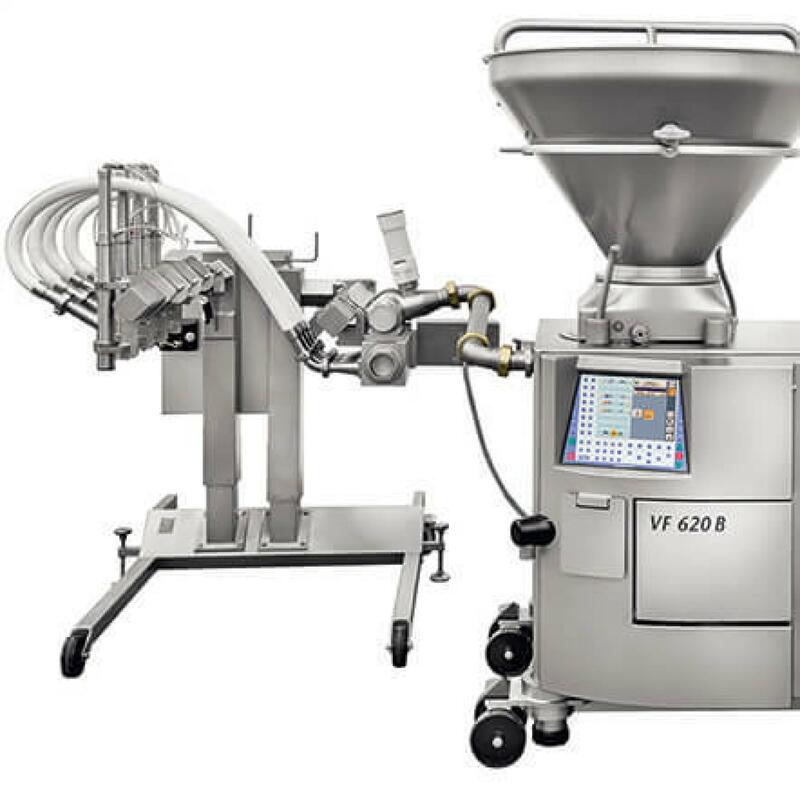 Handtmann's DS 551 depositing station in conjunction with a VF 600B dividing machine, is suited for the dosing of spot, strip, or continuous flow filling into cups, trays, or sheeted dough. 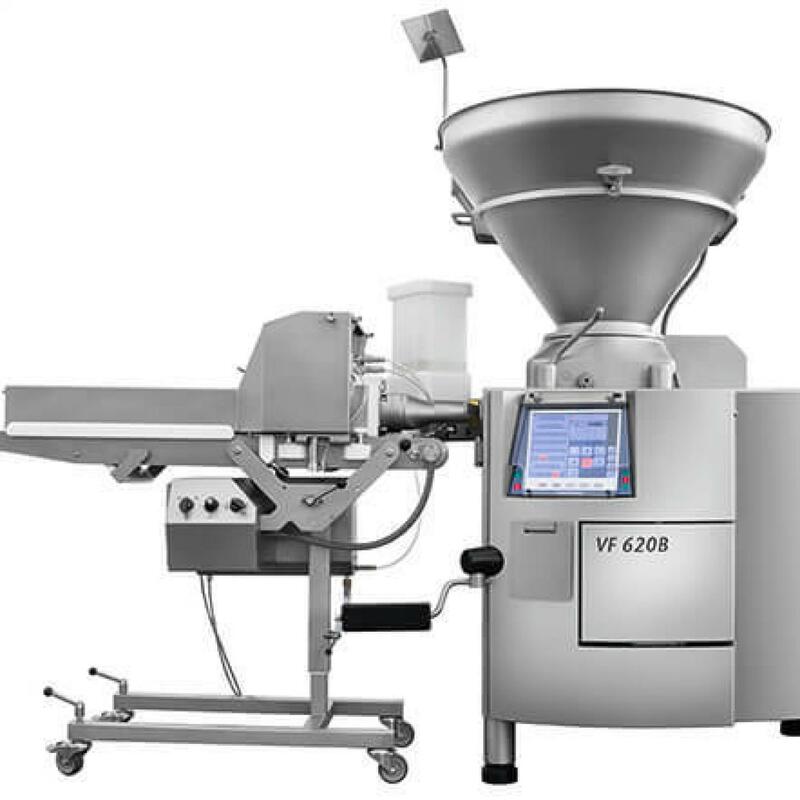 The filling product is pre-portioned by the VF 600B and fed to the filling flow divider. Because the flow divider is servo-driven, product is delivered with extremely accurate and equal flow through multiple lanes. 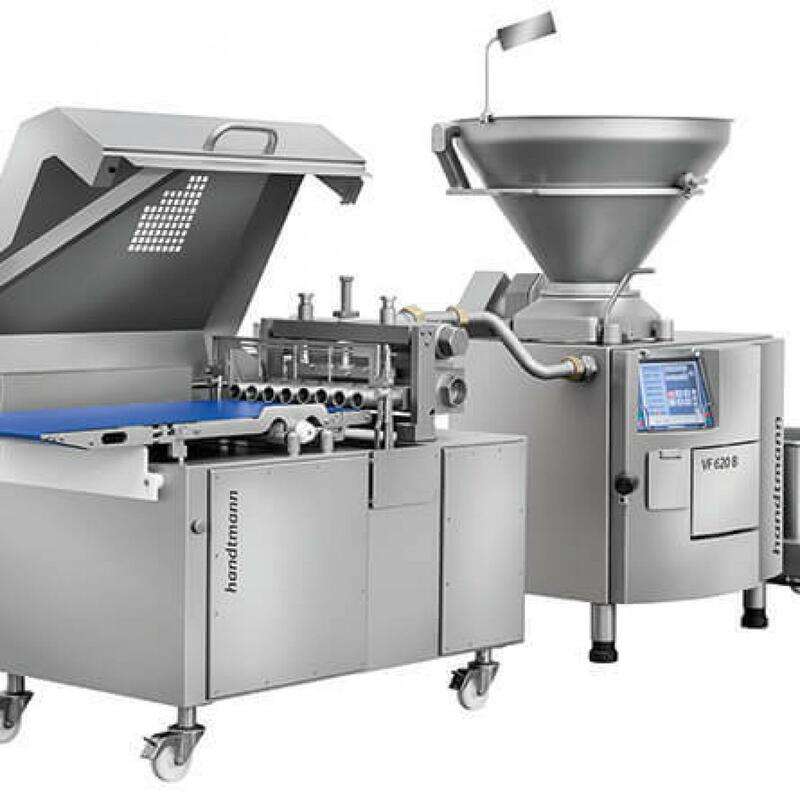 Handtmann's SE 442 cutting unit in conjunction with a VF 600B dividing machine, can be used for dividing dough of various consistencies, specializing in traditional pizza dough. 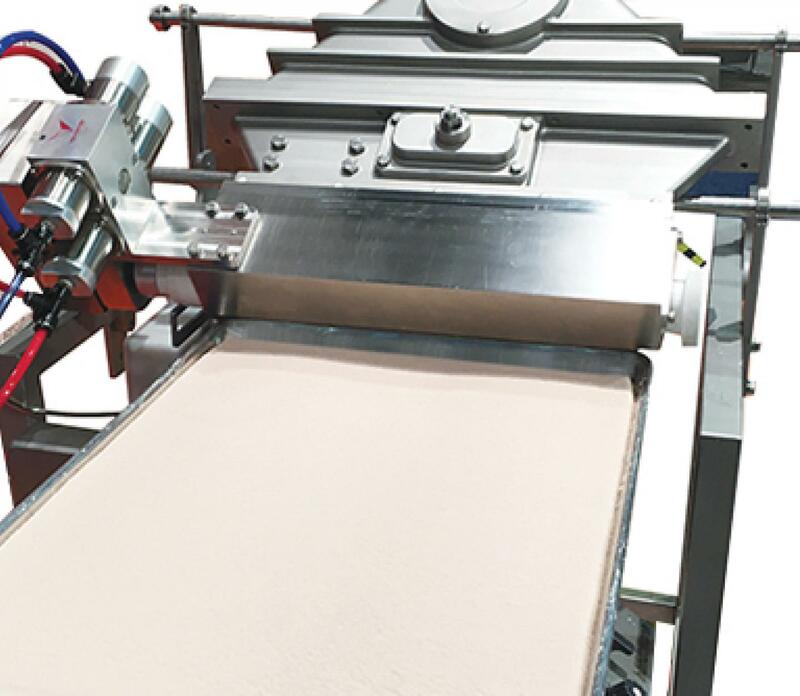 The Handtmann sheeting head is known for the very even flow of dough across the sheeting head and the reliably gentle handling of product for premium quality you can trust. The dough sheets can be made up to 18" wide with consistent thickness from edge to edge and 1/8" - 3/4" thick. The sheeting head can also be used for brownies, cakes, cookie and pizza dough sheets, and layering butter or margarine. Handtmann's SE 443 Dividing and Cutting solution ideal for loaves produced from diffferent ground grain products.